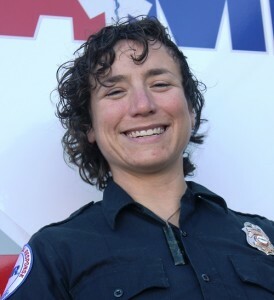 A nine-year veteran, Heidi is a well-respected paramedic in the San Diego EMS community, with a career that has traveled from Texas to New Zealand and back to the city where she was born. Last year, Heidi and her partner, AMR Paramedic Supervisor Theresa Conrad, witnessed a traffic collision as they were completing another call. The vehicle, with two passengers inside, caught fire almost immediately after the crash. Instinctively Heidi, a former rugby player, and her partner pulled both occupants out of the burning vehicle and began rendering aid. The fire was so hot that Heidi’s cell phone exploded from the heat while in her pocket causing minor burns to her leg. The bravery Heidi showed during this event, and her dedication to her patients and the residents of the City of San Diego, are what make Heidi stand out as a Star of Life.